Four weeks ago today, your Daddy, big sister Maya, Grandma, Papa and myself went to a Dodger game as a birthday gift to Papa. We wanted to see the Mets play, but they were in town during the week and only had night games, and we thought that would be too late for Maya to enjoy. So, we settled for sporting our Mets attire (Daddy wore his favorite Twins gear) while we attended a Dodgers v. Cardinals game. We knew it would be a bit of a haul hiking from the furthest most point in the parking lot to our loge seats inside the stadium. And being 9 months pregnant, we did our best to take it slow. I borrowed a belly support band from a friend and made the trek. We figured this would be one of our last ventures out before your arrival since I was 4 weeks from my due date, but we had no idea it would actually be our last. We watched the game while munching on such culinary delights as, Dodger dogs & beer (by the men), a giant pretzel accompanied by radioactive hued cheese product, and my personal favorite, frozen lemonade. After the game, we made the long march back to our respective cars and I felt, well, off. We got home, and Daddy put Maya to bed and laid down on the couch. We watched the latest, “Game of Thrones,” episode and I made my way upstairs to bed just after midnight. As I was just drifting off to sleep.. my water broke. When my water broke with Maya it was a continuous flow… this time I wasn’t sure. I called Daddy downstairs and told him that I thought my water broke. Not but a few moments later, I was sure that it was my water that broke. Maya had arrived 10 days early, but was full-term. Four weeks was early. Too early. I told her my water broke and I had no contractions. My OB-GYN who, not just a few days prior, told me that everything looked great and the baby wasn’t coming any time soon. My OB-GYN who told me the exact same thing the day before my water broke early with Maya. My OB-GYN who has proven that OB-GYNs actually have no idea about these things. She told me what I already knew. That I needed to make my way to the ER since there is a high risk of infection once your water breaks. I asked if everything was going to be ok and she just told me to get to the ER. I called Grandma and Papa, making my voice as calm as I could… but they saw right through it. I told them that my water broke and asked them to come to watch your sister and be here to tell her what’s going on when she woke up. They were a 45 minute drive away, and we had back-up people we could have called, but we didn’t want to bother them in the middle of the night if we still had packing to do. Daddy and I packed a bag. A bag which we promised we would have had ready for your arrival since we were not prepared when my water broke with Maya. But we thought we had at least two more weeks. Sure, you might be here early, but there’s no way you’d be THIS early. So, as I sat on the toilet, shaking and crying, Daddy ran around throwing toiletries, chargers, underwear and clothes into a bag. He set up the infant car seat (throwing the lining into the washing machine to be picked up later). He changed our linens and made the bed so my parents would have some place to sleep. We never make our bed. But we did for them. Grandma and Papa arrived. I shoved a towel under my dress and headed downstairs. I saw the concern on their face. I cried. I couldn’t hide my fear that this was too early. I frantically searched for the little pink card I had in my wallet that I needed to present in order to expedite my check-in into the ER. I couldn’t find it. I cried some more. I shoved a new towel under my dress and Daddy and I headed off to the hospital. 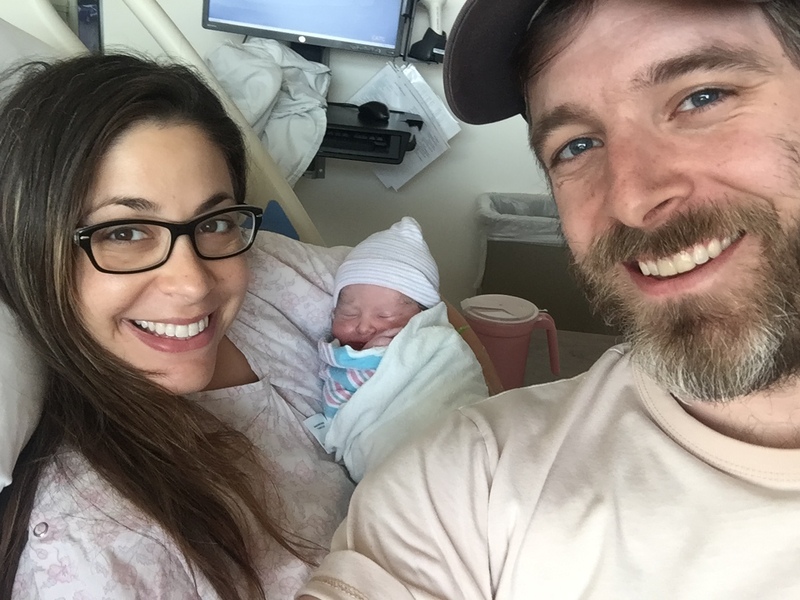 I checked myself in, making a few off-handed jokes along the way to keep the mood light and I was wheeled into the labor and delivery room. I changed into a hospital gown and was allowed to go to the bathroom by myself one last time before they inserted a catheter. I asked if I was going to be ok. If the baby was ok. I was told that everything looked good. But, I was still scared. 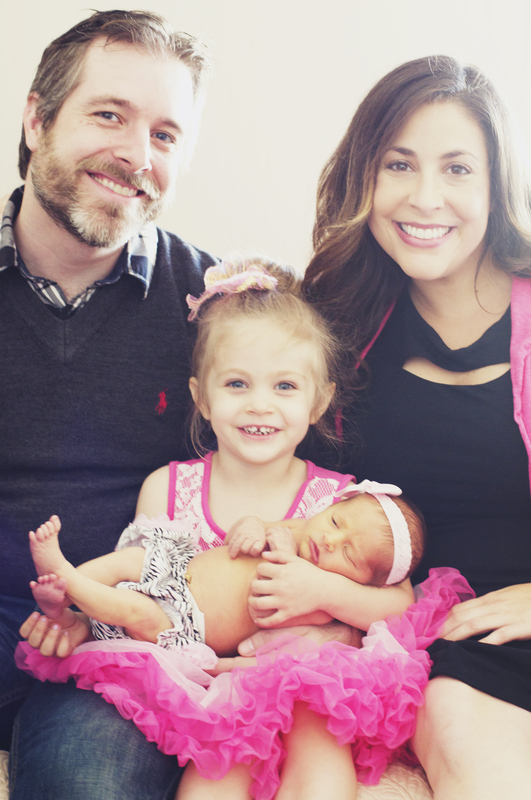 When I delivered Maya, my OB-GYN was essentially just there to catch her on the last push. This time she came in to check on me. She said there was a chance you might have to spend time in the NICU. She didn’t know if you would be over 4 pounds. And I was told that I had an infection. They wanted to make sure that I had a few doses of antibiotic in my system before your arrival to prevent passing this infection onto you. My contractions started and I was told that I didn’t want to start the epidural too early and to wait for the anesthesiologist to finish her next procedure and then she would come to me. The nurses said that when the contractions came, it was impacting your heartbeat. So they gave me oxygen. After a few hours of receiving doses of the antibiotics, they kicked up my doses of Pitocin to keep the contractions coming. All went well with the injection. But I was only feeling numb on my left side. I still felt the contractions. No matter, I powered through. After about 12 hours in L&D I had made it to 10 cm, but you were still too high to push so they wanted to wait. And wait. And wait. Eventually it was time to push. And at 4:06pm on Monday, May 16th you arrived. We were told you were a girl and we knew you were our Newest Moo. You were 7.58 lbs. We were in the clear of you being under 4 pounds, but you still had to pass some tests from the NICU. When I came to, I was told that you were looking healthy if not just a bit jaundice which is totally to be expected. Throughout the next few hours, you passed every test with flying colors and we were finally told you wouldn’t have to go to the NICU. Throughout these last 4 weeks you have spit up all over me… daily. You have pooped on me. You have scratched my neck and pinched my breasts. You knew you you were ready even if we weren’t. Scared of how things will move forward, when you will hit your milestones and what kind of person you will become. But we are so lucky that we have had these last 4 bonus weeks with you. We love you and thank you for making us a family of four!